If you operate a car wash or detailing business and are looking to help make your company stand out, our Car Wash & Detailing Swooper Feather Flags may be the right solution. Our flags are designed with striking bold colors to draw the attention of prospective customers. 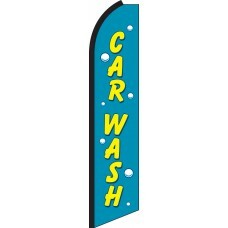 Display these popular Swooper Feather Flags in front of your car wash or along the roadside to let prospective customers know about the services you offer. 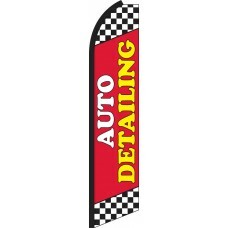 Even if customers are aware that you are a car wash, they may not realize that you also offer detailing services, so make it clear to both new customers and existing customers with our vibrant Swooper Feather Flags.